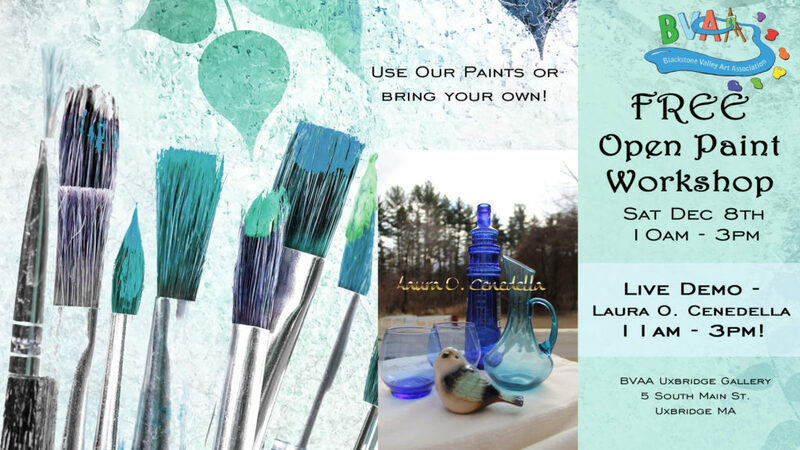 The amazing artist Laura O. Cenedella will be in the gallery from 11am to 3pm working on a still life painting. You can watch her at work and ask any questions you wish. You can paint along with the still life. Or you can paint anything else you wish! It’ll be delightful, creative, relaxing, and fun. Oil Painting Demonstration of Glass – painting with the simplest palette. Join Laura if you want to and bring all the supplies you will need. Basic oil paint color, surface, brushes, easel, turpentine, brush cleaner, rags, trash bag, drying additives. Here is the time-lapse video of the session! The Great Gifts Art Show is currently live! Come on out and see it!